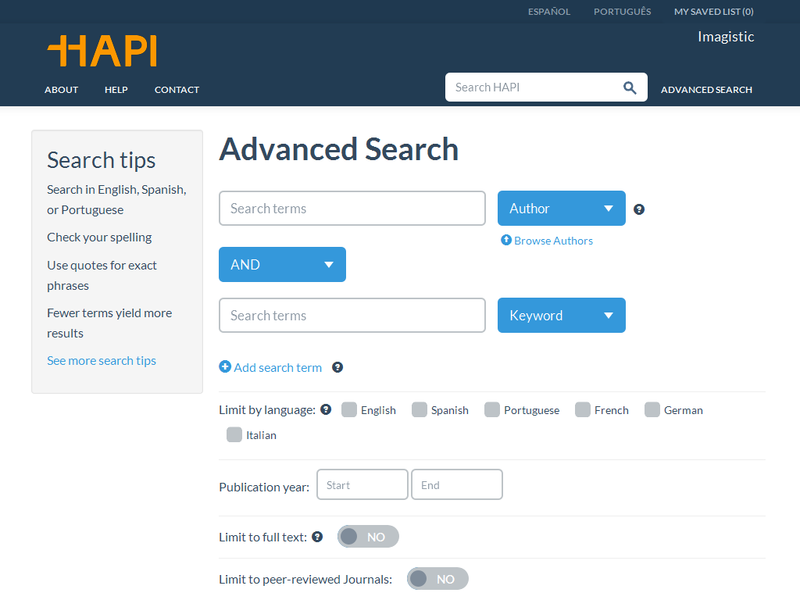 The Hispanic American Periodicals Index hired Imagistic to reverse engineer their existing back- and front-end system and rebuild the entire application from the ground up. Imagistic worked with the HAPI to rebuild, from the ground up, their internal / external data management system. The project included reverse-engineering the existing application, clarifying indexing nomenclature, system and user information architecture, graphic design, systems design and application development. Reverse-engineered existing application with little documentation to clarify existing business rules. 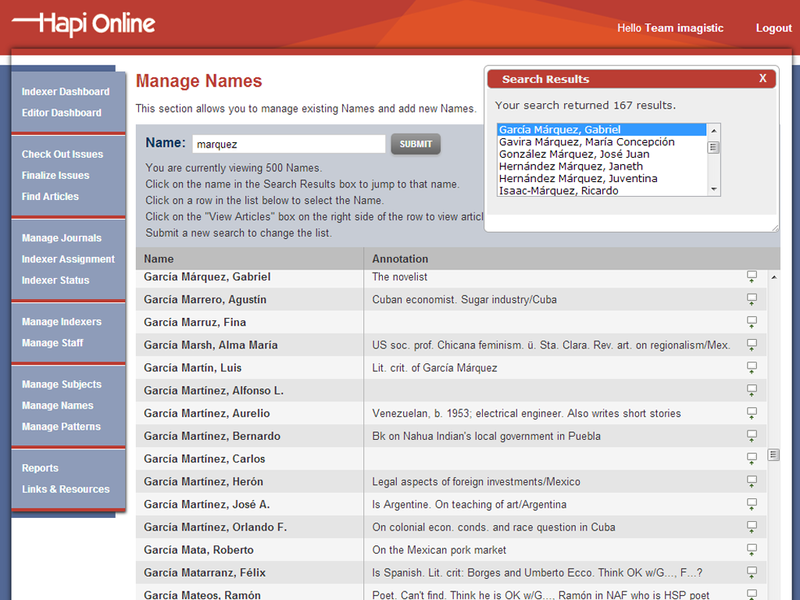 Improved admin user-experience streamlining data input and substantially decreasing entry errors. Implemented front-end interface for institutional subscribers around the world. 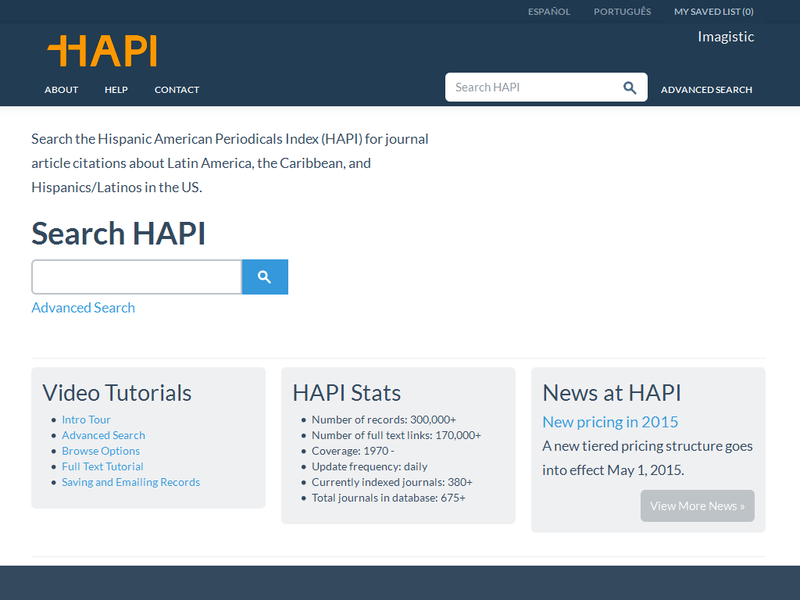 The Hispanic American Periodicals Index (HAPI) provides complete bibliographic citations to the contents of scholarly journals published around the world on Latin America and the Caribbean since 1970. 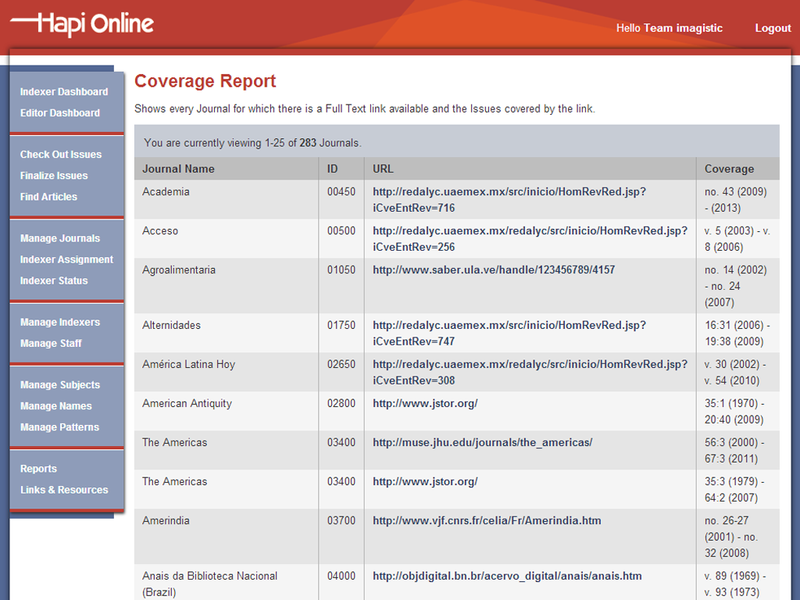 Our coverage includes everything from political, economic, and social issues to the arts and humanities. 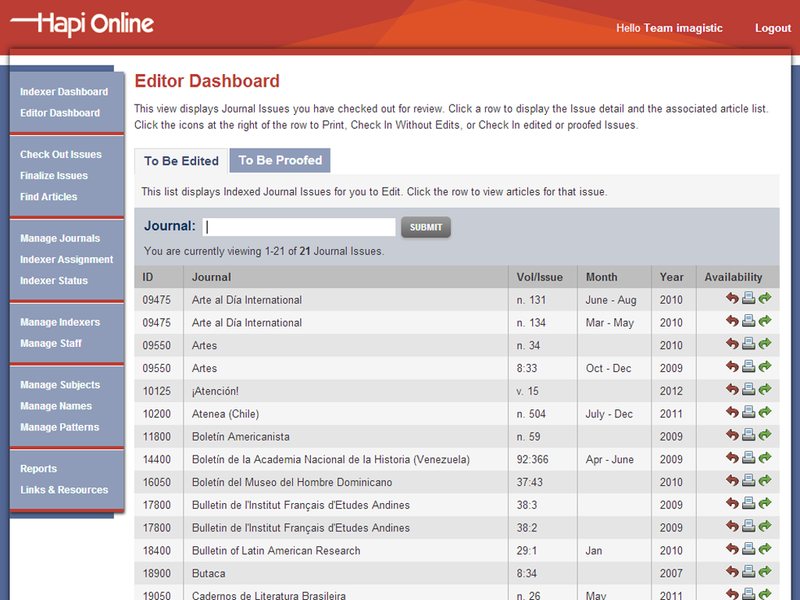 The database is a nonprofit project of the Latin American Institute, University of California, Los Angeles (UCLA) and is available through annual subscription.